Come See Us at Salt Lake Comic-Con, April 17–19! 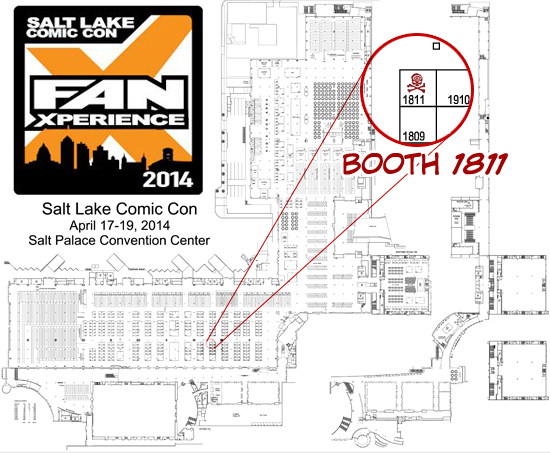 If you’re in the Salt Lake area, check out Salt Lake Comic-Con Fan-Xperience, Thursday through Saturday. If the event is anything like last year’s Salt Lake Comic-Con, you’re in for a treat. This has quickly become one of the largest comic conventions in terms of attendees, and last year’s crowd was unbeatable. Part of the magic of comic conventions is meeting like-minded peeps, and last year we were surrounded by so much enthusiasm and homemade cosplay, our hearts nearly exploded. This year, both Jeff and I will be working at the False Positive booth (#1811), so come by and say hello and snag some free schwag. We’ll even hook you up with a free sketch from the comic’s talented creator. See you there!